Widely considered one of the best players to ever wear an Old Town uniform. During her four seasons, the softball team posted an impressive 29-7 record and scored a combined 529 runs. 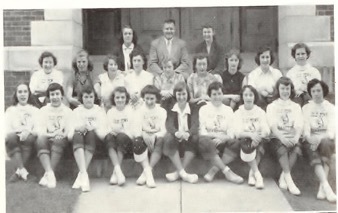 Was one of the first girl's basketball players at OTHS when it first started as an intramural sport. Coach White also runs the Old Town Track Club through the Parks & Recreation department in the summer where he has coached hundreds of the city’s youth. 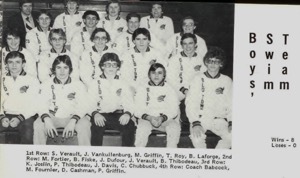 The 1979 boys swim team holds the distinction of winning the first state championship for this sport in school history. This accomplishment occurred in an era when all teams in the state competed in class A.This team not only completed a perfect 9-0 season but dominated the state championship meet by beating runner-up Cape Elizabeth by 54 points. 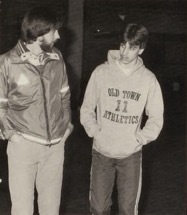 Their state championship performance included placing at least one swimmer in the top six of every event and smashed 7 school records along the way Without the benefit of an individual champion in the state meet, the 1979 team should serve as a shining example of what can be accomplished by epitomizing the meaning of TEAM.